The city is taking major steps to protect children after an I-Team investigation exposed shocking conditions inside a children's center. Melissa Russo reports. 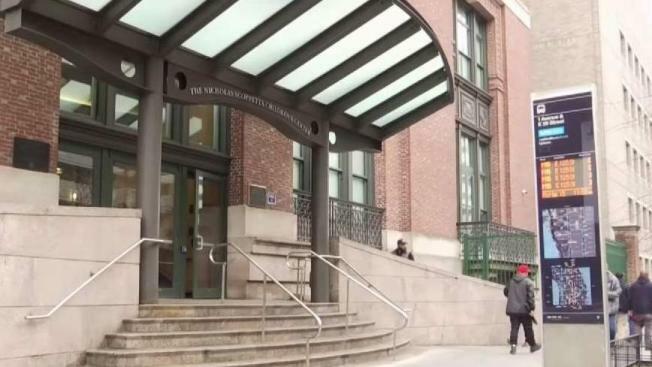 The Administration for Children’s Services has announced it will take new steps to protect children at the Nicholas Scoppetta Children’s Center in Manhattan after two insiders shared alarming details with the News 4 I-Team about conditions inside. The workers, requesting anonymity, described chaos, physical fighting, and overcrowding inside the building which serves as the official foster care intake center for ACS. The employees say they are particularly concerned about a dangerous mix of babies and young children with special needs living alongside troubled teens and even adults straight out of jail. “I honestly feel in my heart that either a child’s going to be hurt seriously, or staff is going to be hurt seriously at the Children’s Center,” one veteran worker told the I-Team in a sit-down interview this week. In response, ACS Commissioner David Hansell announced Friday he would make management changes, beef up security, and "work urgently” to move the older population out of the center. ACS officials told the I-Team they did not dispute any of the specific allegations made by the workers. The Children’s Center, on 29th Street and First Avenue, is where abused and neglected children are brought immediately after being removed from their parents. It was never intended as a place where children would live for extended periods of time, but rather as a welcoming rest-stop for children to wait a few hours for an appropriate foster home placement. But the child-friendly decor and life-sized images of Elmo and Cookie Monster belie a darker reality in recent months where, employees said, weapons were recovered inside and walls were smeared with feces by troubled teens. “In three cases, the knives have made it to the floor where the residents live,” the worker told the I-Team, providing a picture of a butcher knife said to have been recovered in a boy’s locker. Workers expressed fear that they would not be able to protect the younger children from the older children. The workers also provided the I-Team with several stomach-turning photos of feces they say was smeared by a troubled teenager on walls, desks, door handles, and even the buttons on elevator panels and a worker’s phone. The workers describe frustration that they send troubled teens in situations like these to Bellevue for psychiatric care, and the teens are returned within a matter of hours. ACS sources told the I-Team on Friday that the youth responsible for smearing feces on the wall had been arrested since the workers complained to the I-Team. They added that the number of children inside the center was down from 94 last week to 67 on Friday. Managers inside ACS tell the I-Team that 75 percent of the children who come through the Children’s Center are in and out within one week. But the workers say too many children end up living at the Children’s Center for many months because nonprofit foster care programs do not have homes willing or able to manage the children’s special behavioral or medical needs. They say the Children’s Center has become a repository of last resort. “It’s a shelter. A shelter for children,” one of the employees said. Anthony Wells, president of Local 371, the union that represents ACS workers, blames the backlog at the Children’s Center in part on management decisions made many years ago to close congregate care group homes, believing that private homes were preferable to institutional settings. But child welfare experts agree it is not easy to find families willing to take in teenagers who have been traumatized, abused and struggle with serious mental illness. Some of the so-called “children” at the Children’s Center are not children at all. Workers say adults as old as 23, who have had their time in foster care extended in family court, have been arriving at the Children’s Center straight from Rikers Island in handcuffs. On March 7, the I-Team was first to report that Family Court Judge Emily Olshansky had found ACS in contempt of court for leaving a disabled teenager named Kenneth to live at the Children’s Center in a broken wheelchair for more than a year instead of finding him an appropriate home. Sources familiar with the decision-making process inside ACS tell the I-Team that discussions about changes to the Children’s Center intensified after that ruling became public and decisions were made after the I-Team alerted ACS about the whistleblower interviews. “I’ve ordered a number of immediate steps to ensure all youth at the Children’s Center are safe and that their needs are being met. As a result of this directive, our Chief Medical Officer just completed an intensive review of youth with special needs living at the Children’s Center to make sure their needs are appropriately served. We’re increasing the number of peace officer on-site, installing additional security cameras, and working even more closely with NYPD. Additionally, on Monday we are bringing in additional leadership at the Children’s Center with expertise in youth programming and juvenile security to make additional changes to security and other protocols right away. Simultaneously, we are engaging an independent expert to do a thorough review and make recommendations for reform, and we are urgently working to identify additional facilities to house older youth."